Well, it seems I didn’t post for the whole month of February. I was just a little busy, what with the kids and the quilting and deciding to sell our house. Anyway, long stories for another day. This post is for updates. My sister-in-law had a girl! She is perfect and tiny and in for a hell of a time at family parties, since she is only the second female in a generation of nine cousins. Miles is completely smitten. 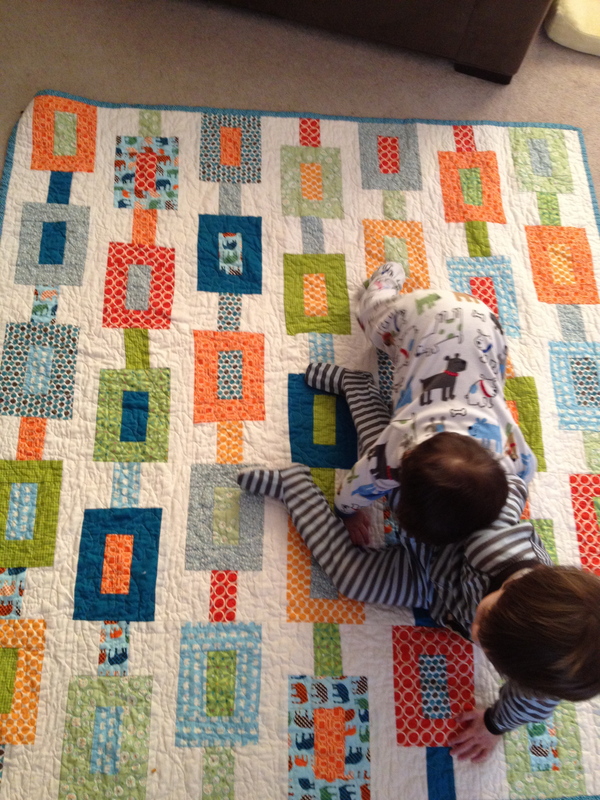 Also, after a few months of working, I finally finished Eli’s quilt. I free motion quilted it in a learner’s stipple style, and it crinkled right up in the dryer. The best part is that he loves it too. 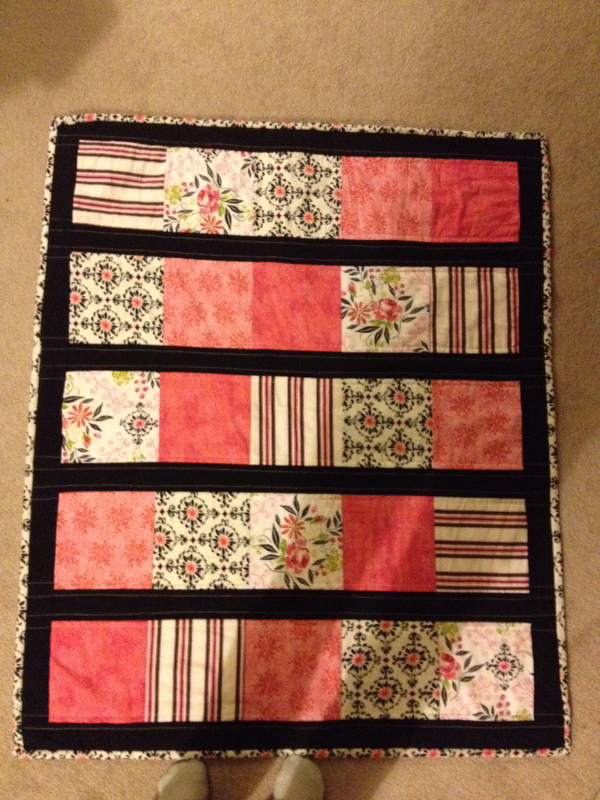 Plus, this month I got my first commission, a black and pink quilt for an impending baby girl. It came out very French and I’m so happy with it. Naturally I didn’t get any good pictures before sending it on its way, but this should do. Hello leg shadows. Next up: A quilt for Miles. I’m going to do patchwork and a chevron design, so stay tuned.